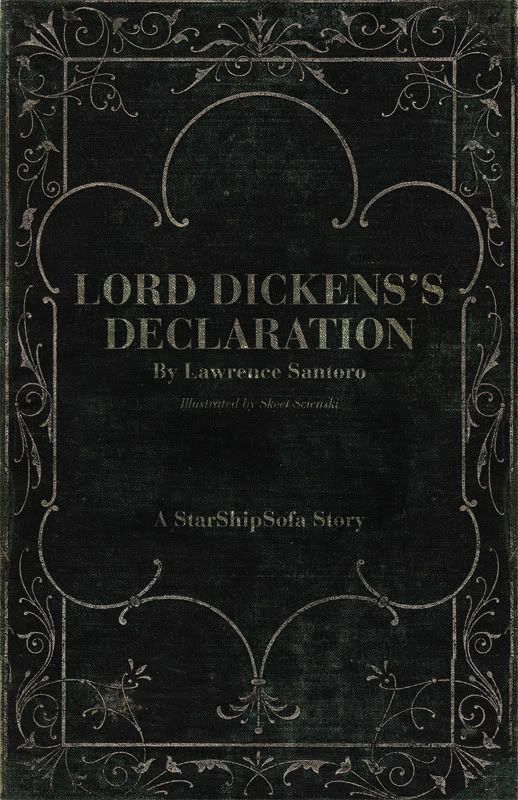 Lord Dickensâ€™s Declaration is a novella by Lawrence Santoro which is an accompanying piece to StarShipSofa Stories Volume 1. Lord Dickensâ€™s Declaration is available as an ebook for a limited time only and will no longer be available after December 31, 2009. All proceeds from this ebook are for the benefit of Spider and Jeanne Robinson as they struggle with Jeanneâ€™s illness.